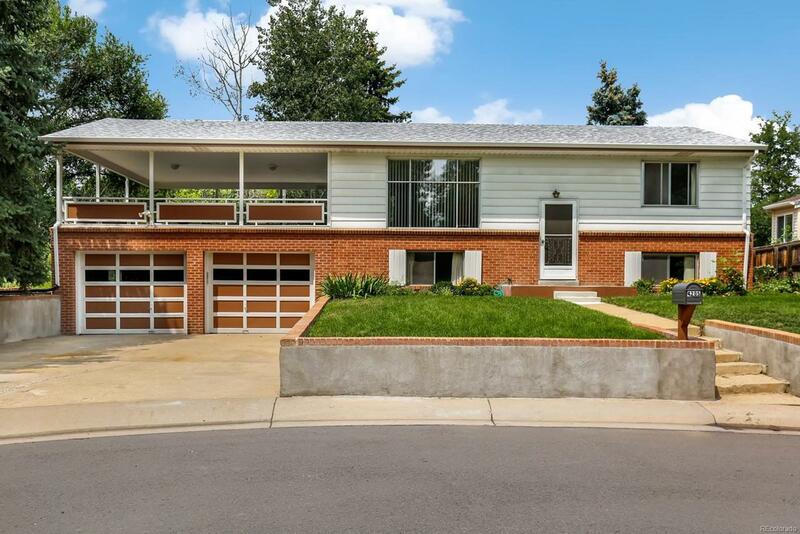 Charming split level home in one of Wheat Ridges best locations! This street dead ends to Clear Creek Trail which leads to Lena Gulch and Anderson Park, just steps from the front door! The homes spacious floorplan is filled with sunshine. The kitchen has a great layout and plenty of space providing great potential and endless possibilities. Bright and sunny living room has large Eastern facing window to fill the entire room with the morning sunrise. The lower level provides great additional living space with family room, bedroom, and bathroom. The large fenced backyard has garden beds and mature trees. Expansive covered deck off of kitchen is a quaint escape with forest views; an ideal place to enjoy morning coffee while listening to the chirping birds. Super quick access to I-70 makes for a convenient drive to the mountains or the commute to downtown Denver a cinch!